Today I am sharing a card that I layered with a couple of images from Make It Crafty, they carry a wide arrange of png formatted images which allows for easy combining and layering. I highly recommend a browse through the online store. Additionally, there is a very well done tutorial explaining how to layer the images for you to watch. The first image I used is Crystal, a digital stamp that is available through the shop or as part of Zoe McGrath's e-book, Shading with a Light Source. 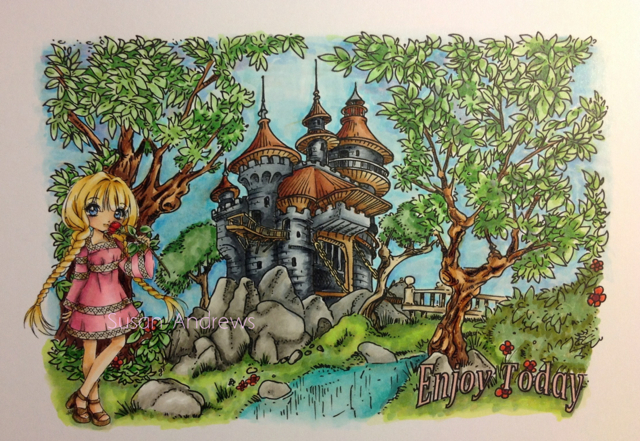 Not only are her e-books very detailed, but also helpful for improving your colouring skills. 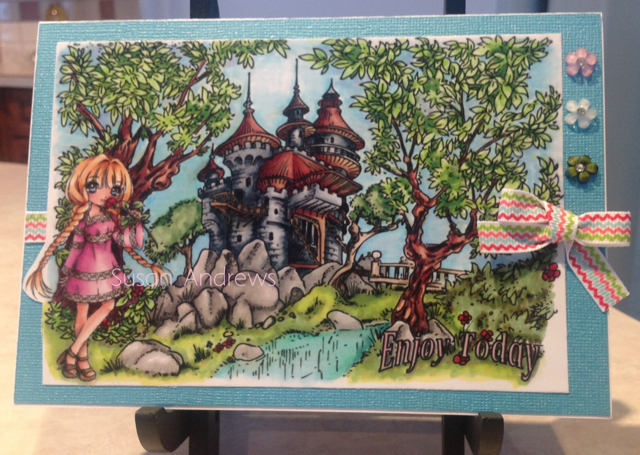 The second image "Castle Hidaway" is just one of many background images designed to be layered and used to create an unique backdrop for your cards. Keeping the card clean and simple allows for your focus to remain on the image that took hours to colour.